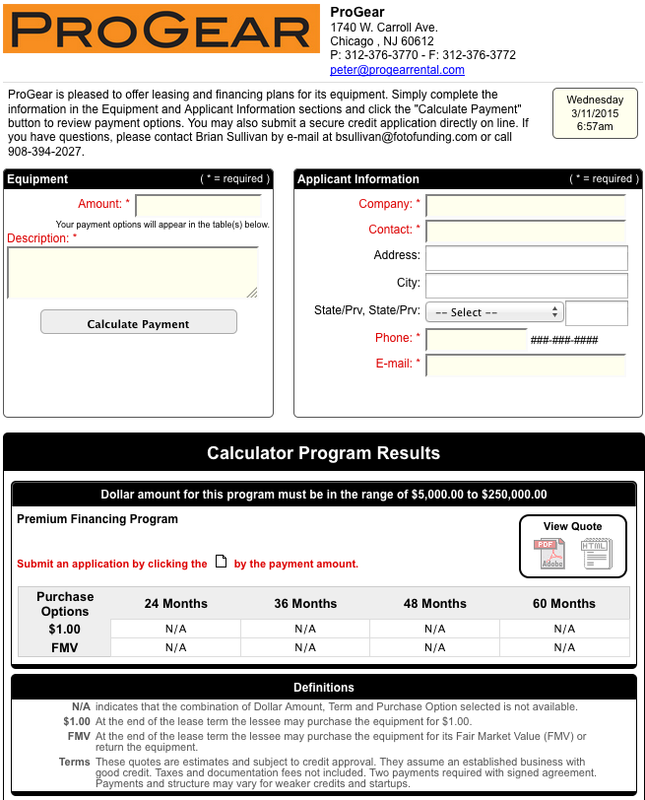 Get instant monthly payments by using ProGear’s Leasing Calculator. 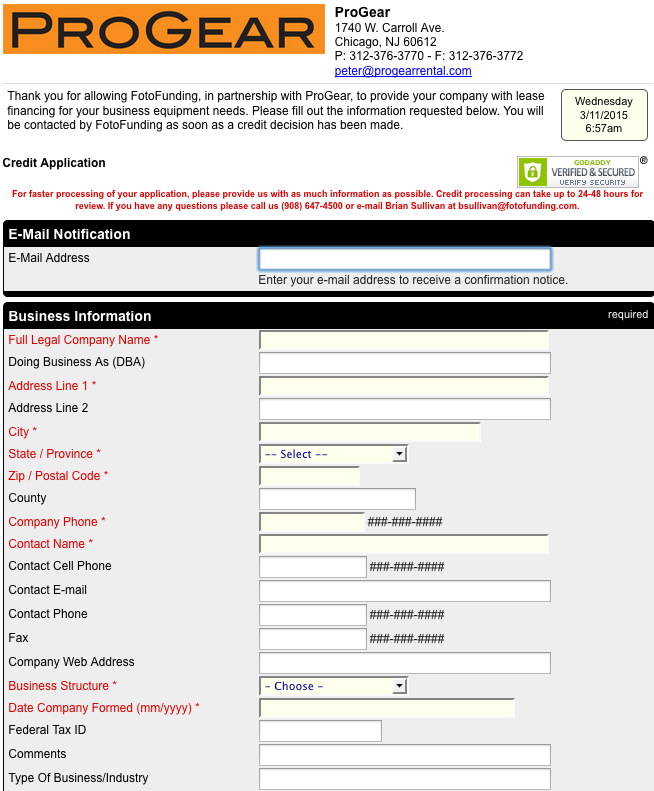 Simply fill out the information on the verified secure form and click “Calculate”. Enter the dollar amount, calculate, choose your monthly payment plan and you can submit your application on-line hassle free. All information is verified secure.